The iPad communicates with other devices one of two ways: It connects to the internet via Wi-Fi, supporting the fastest, state-of-the-art 802.11n version. Bluetooth is the second flavor of wireless inside the iPad, typically used for connecting accessories such as earpieces or keyboards or even a compact speaker systems. In my experience, Bluetooth range is a robust 30-35 feet and does not require a direct line of sight between linked devices. Now, most of the remotes currently littering your coffee table use infrared (IR) signals to send their commands to the television or Blu-ray player, etc. It's an older technology which requires line-of-sight between the remote control and the component's IR receiver. And, IR is not supported by the iPad (some Android tablets do feature built-in IR). However, if we search The App Store via the iPad itself using the term “tv remote,” we will see a variety of paid applications from a host of independent publishers to help us bridge the gap. Some offer to replace the remote control that came with your Mac computer or Apple TV. Some require the addition of a dongle that attaches to the iPad, a physical plug in that is operated by the user and the iPad to control the TV, or any other supported device via IR commands that are generated on-the-fly. Such an adapter (sold separately of course) is mandatory if we want to fit our rectangular iPad into the dodecahedronal world of IR. The alternative method of control takes advantage of the iPad's aforementioned Wi-Fi prowess, particularly useful in the age of the Internet-ready TV. Wi-Fi-based control applications use the iPad to access our wireless home network. The local network receives the commands that we input on the touch-screen and sends them out in turn to the connected television, wired or wirelessly. Some TV manufacturers require the use of their own proprietary apps in order to operate their specific televisions, but all of those that we found - for the Samsung, LG and Panasonic brands, some exclusive to the iPad - were free, which makes perfect sense: You already paid a pretty penny for the latest in high-tech IPTVs, they want you to make the most of it, say “wow” a lot, and brag about it to your friends. 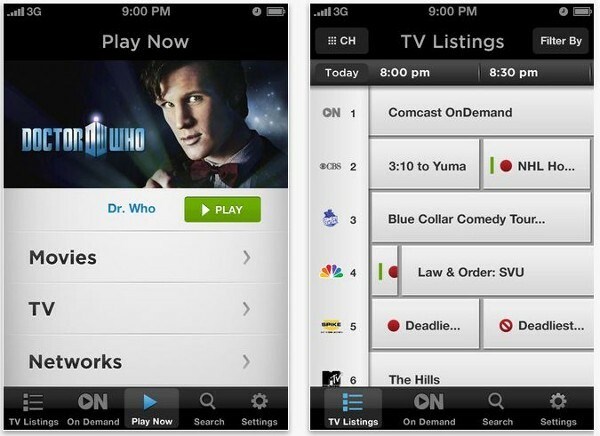 Service providers such as DISH Network, DirecTV and others as well as stalwart TiVo also offer their own free custom apps that allow us to access their set-top boxes in a variety of newfangled ways, even managing our content, scheduling new recordings and watching live TV from anywhere in the world. There are also paid third-party applications in The App Store that allow us to control a vast array of home theater components, assuming that they too are somehow internet-connected. Taking the iPad control concept a step further, to uses such as Blu-ray playback, Deluxe Digital Studios offers the free pocket BLU app, supported by a long list of Universal Blu-ray discs with a few Fox titles as well. Included among its many features is an enhanced remote control which utilizes two-way communication to deliver a custom interface optimized for the large tablet screen, bringing an instant-access video timeline for that disc as well as a virtual QWERTY keyboard to expedite data entry. Discs from Universal, Sony and Disney also enable some variant of a “second screen” function that displays relevant, synchronized content on the iPad during a small-but-growing collection of movies, much like picture-in-picture (Bonus View) but without obscuring the movie itself in any way. In actuality, second screen programs are sizable downloads to the iPad performed before we press Play, but the experience is all but seamless. Or course, now that we are using the iPad as the remote control of our Buck Rogers dreams, we run the risk of it sprouting legs and disappearing just like remote controls of yore. Wonder if there's a LoJack app for that…. Click on “view this slideshow” in the blue bar to see each product.